A gunman opened fire on a crowd inside Borderline Bar & Grill in Thousand Oaks, California. Reports say multiple people were killed and injured, and the gunman is reportedly dead. New Delhi : Close to 13 people were killed after a gunman opened fire inside a crowded Thousand Oaks bar late Wednesday night. The accused has thrown smoke bombs and fired bullets on an event well-known among college students. The mass shooting took place inside the Borderline Bar & Grill. Besides 11 dead, several others were seriously injured. According to Ventura County Sheriff Geoff Dean, a sheriff’s department sergeant was shot several times and died at a hospital. 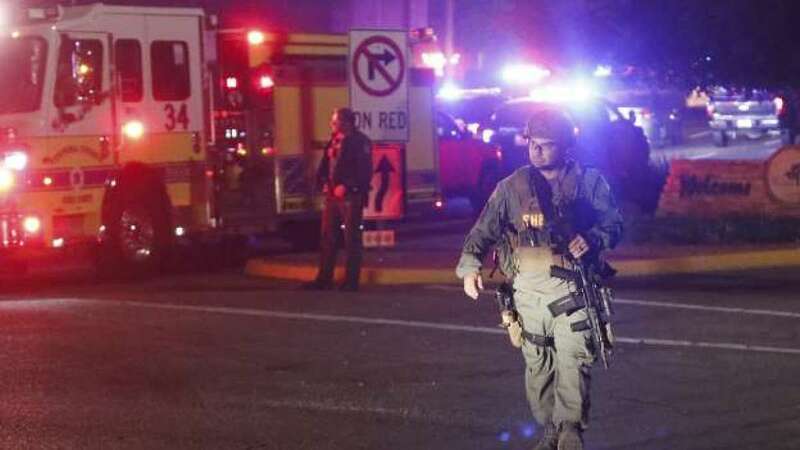 Sources confirmed that the gunman, who is believed to be among the dead, burst into the bar around 11:20 p.m., cloaked in all black as he threw smoke bombs and began shooting at targets as young as 18 , authorities and witnesses said. Several witnesses described the weapon used as a pistol. Deputies arrived and got into a firefight with the suspect, which left one deputy seriously injured, according to Capt. Garo Kuredjian, a Ventura County Sheriff’s department spokesman. Witnesses reported a dreadful scene as gunfire echoed through the club and those inside ran for cover, in some cases using chairs to break windows to escape the building. Others escaped in bathrooms and an attic as they frantically called loved ones who were hearing reports of the shooting. Some witnesses said that the bar was a great place for country music fans. The Wednesday night normally see the Stage Coach country music festival in California and, tragically, some were survivors of the incident at the Route 91 Harvest Festival in Las Vegas that left 58 dead last year.